As with every month, we’ve added more than 100 products to the Manage Comics database. We are in the process of overhauling our “other publishers” list to make it easier for you to find great independent comics. Here’s what looks great this month. DC gives us an Absolute presentation of Absolute Batman the Killing Joke at a lower pricepoint than most Absolute editions. This includes both the original and digital colorings, as well as a ton of never before seen Brian Bolland artwork. DC Continues it’s “New Age of Heroes” initiative with Curse of the Brimstone and Immortal Men this month. Meanwhile…Young Animal is refreshing its entire line with Eternity Girl, Shade the Changing Woman, Cave Carson has an Interstellar Eye, and Mother Panic Gotham AD. Be sure to catch the Dark Nights Metal hardcover, the Dark Nights Metal The Nightmare Batmen hardcover, and the Dark Nights Metal The Resistance TPB all debuting this month as well. 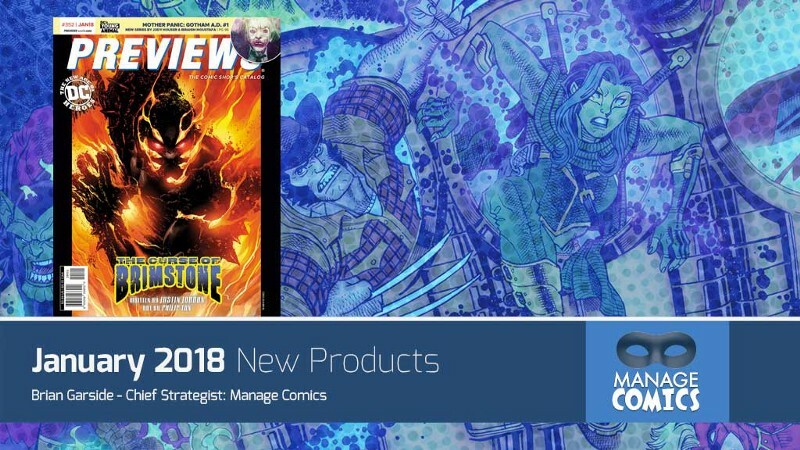 Image Comics features the return of Marc Silvestri’s Cyberforce, Image Partner Robert Kirkman’s new series Oblivion Song, Jeff Lemire’s new series Gideon Falls, and a new crime story set in the late 80’s by Rich Tommaso called Dry Country. Marvel is pushing into the Infinity Countdown — The Saga of the Infinity Stones begins! As the Infinity Stones reappear around the cosmos, the ultimate race for power is on! New Mutants Dead Souls goes into the creepiest corners of the Marvel Universe (very similar to the upcoming Fox movie). If you’ve never read the original TPB Demon Bear from the 80’s, now’s a great time as it is collected again. Of course what list would be complete without Oni Press’ Rick and Morty Presents The Vindicators featuring the secret stories and hidden past of everyone’s favourite band of heroic adventurers, the Vindicators. 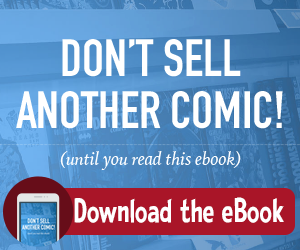 Learn all about Manage Comics, and find out how we can make you more money!